The German government's Federal Office for Information Security is warning computer users in the country NOT to use Microsoft Internet Explorer due to recent security scares. The state organisation has issued the warning following Microsoft's admission that IE was a 'vector' in the recent attacks on Google in China. The German government is thus advising its citizens to use alternative browsers such as Mozilla's Firefox, Google Chrome, Apple Safari or Opera. For its part, Microsoft is adamant that the risk to users remains low, with German rep for the company, Thomas Baumgaertner, a spokesman for Microsoft in Germany, claiming that the recent attacks on Google were by "highly motivated people with a very specific agenda" and adding that they were "not attacks against general users or consumers." 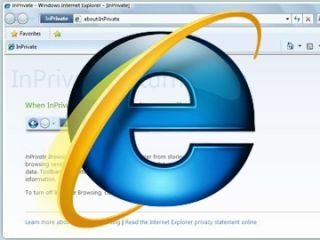 "There is no threat to the general user, consequently we do not support this warning," said the Microsoft rep.
Microsoft is advising IE users to set their browser's security zone to "high" although other security experts, such as Sophos' Graham Cluley of anti-virus firm Sophos, have stressed the importance of the fact that the instructions on how to exploit the flaw have been posted online. "This is a vulnerability that was announced in the last couple of days. Microsoft have no patch yet and the implication is that this is the same one that exploited on the attacks on Google earlier this week," Cluley told the BBC. "The way to exploit this flaw has now appeared on the internet, so it is quite possible that everyone is now going to have a go." "We've been working to analyse the malware that the Chinese are using. But new versions can always be created," added Cluley, who has also been working closely with Microsoft, "to see if the damage can be mitigated and we are hoping that they will release an emergency patch."